Michael Kors mid calf all weather black boot. 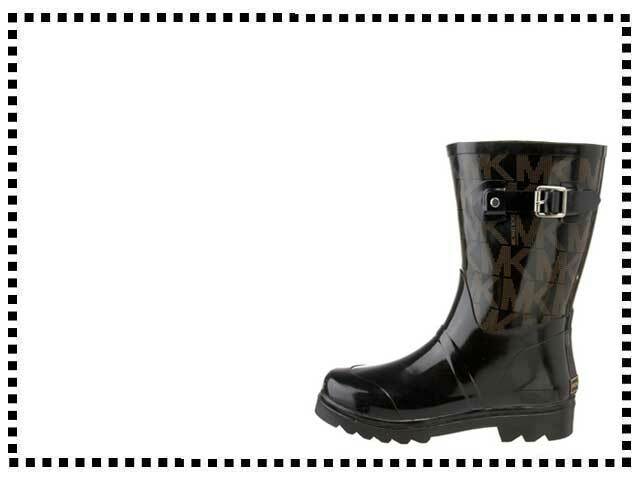 Featuring the MK logo these rain boots have a combat style look and feel. Lovely boots, great fit and very comfortable. Very happy with these boots. They are quite light weight and not too clumpy. I love the style, they are super cute. Perfect fit, true to size and very comfortable. Very sweet boots, enough room to tuck in my jeans. I would recommend Michael Kors boots, they are super smart. Maybe not as well finished as I thought they would be, they are a bit rough around the edges.